As a direct seller or home based business owner, you already know how much power there is by having your own blog. Whether you have your own self-hosted WordPress site or you use a microblogging platform like Sassy Direct, you are always looking ahead to the next post you write. But, what if inspiration runs thin? Not sure what to write next for your readers? Consider any of these 50 blog topic ideas and use them as inspiration for your next blog post! How Much Do “your business” Consultants Make? Is your mind spinning with future blog ideas? I have written before about what to do before and after writing a blog post. Writing a post and hoping someone will find it is not enough. What information are they really looking for as they read your post? What should the next steps be for your reader? Can you incorporate a helpful download, printable, graphic, or video to get your main points across? I look forward to seeing your next blog posts out there! Share your latest one by commenting below and remember to find out what to do after publishing your next post! Click To Purchase Advanced Pinterest Strategies! Learn advanced Pinterest techniques to grow your business! Click to purchase Advanced Pinterest Strategies. 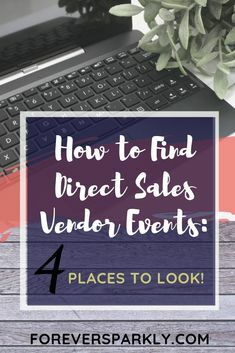 You know the basics of Pinterest but have been wondering how to increase your website traffic and possibly grow your direct sales business. This course is for you! Thank you, Sandy! Glad you found it helpful. Be sure to share with your team and others in your community!